Two years after initial publication date in December 2013, and several press runs later, The U.S. 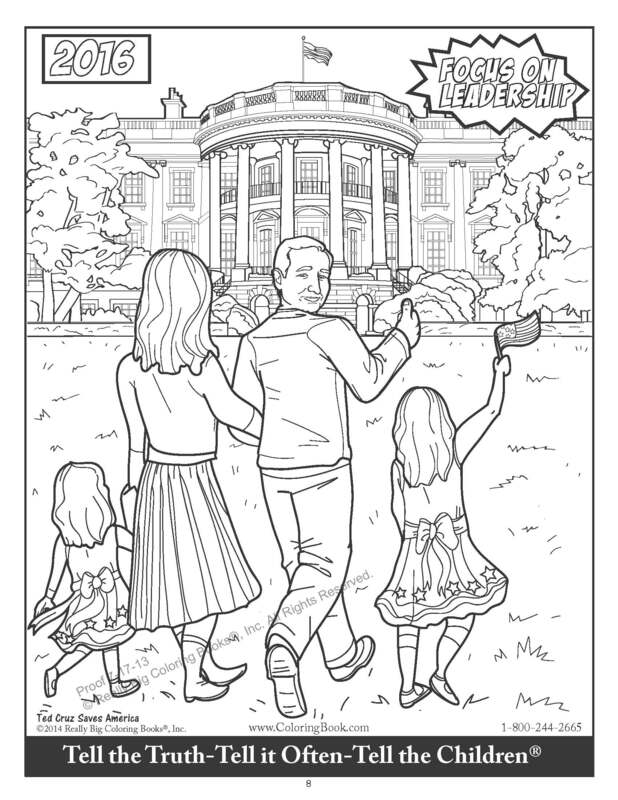 Senator Cruz to the Future Comic Coloring Activity Book proves accurate, noteworthy with staying power by popular demand. The book is presented as a clear statement on what many Americans consider a modern day hero figure. 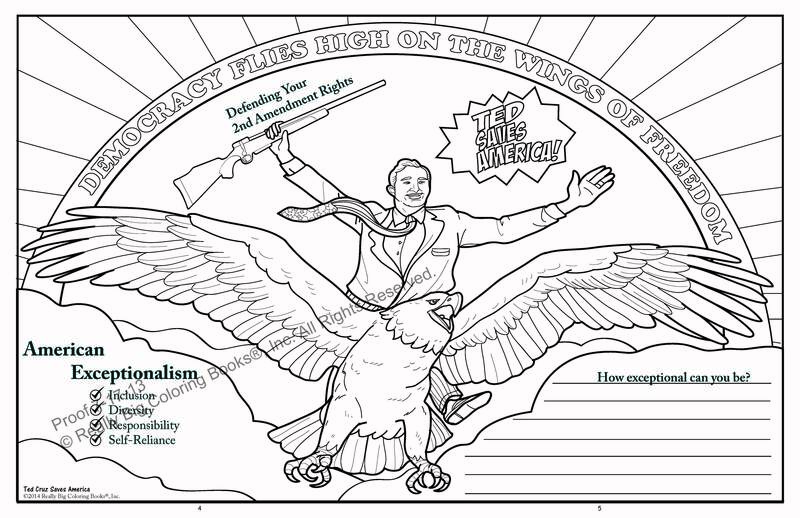 Really Big Coloring Books, Inc. announces the two year anniversary of the Ted Cruz Coloring and Activity Book, named by NBC's Chuck Todd on Meet the Press as the top political gift in 2014. 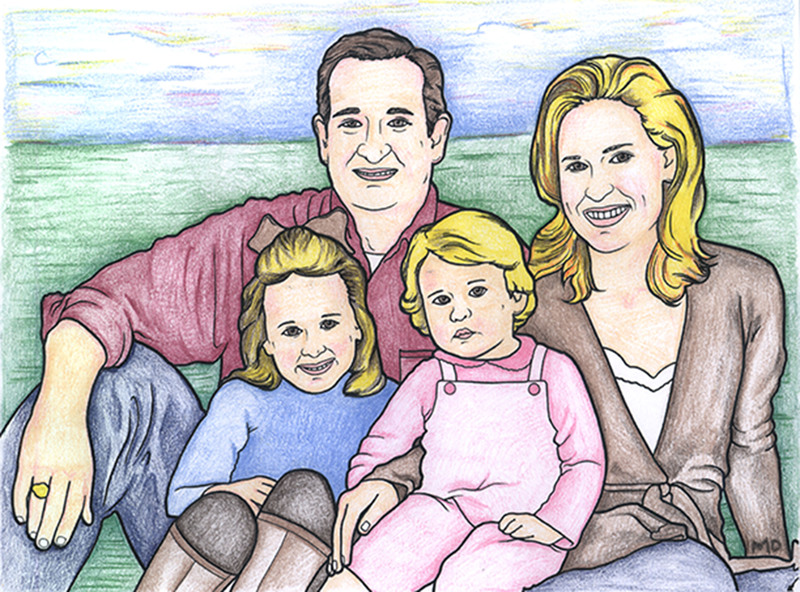 The Ted Cruz Coloring Book during the last two years has hit every strata of American culture. From talk shows such as Fox News, to Stephen Colbert, to TMZ and including thousands of news print articles and hundreds of blogs and news feeds. 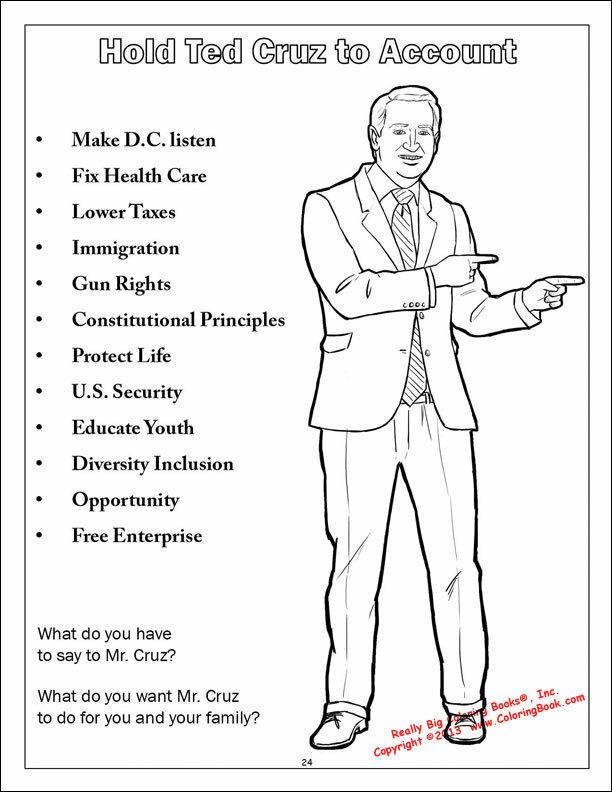 You will also get complimentary the supplement printed in 2015, Ted Cruz Saves America, free when you purchase the book. The book has sold in 50 states, Canada and some European countries during the last two years. You can purchase the product on the company website for $5.99 each. And in celebration of the two year anniversary, from now until Dec. 2016, Really Big Coloring Books offers a free pack of crayons to go with each book. 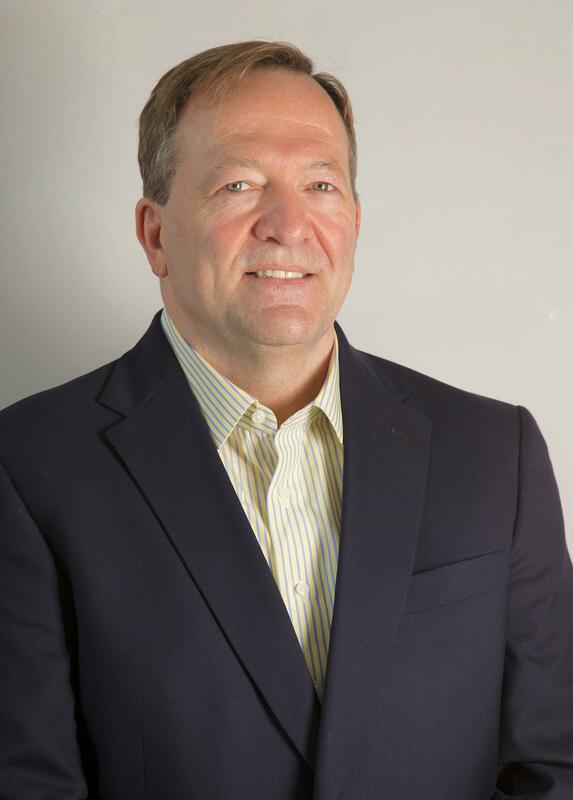 The publisher Wayne Bell said, "Pop culture in general has broadcasted the book via social media from all sides of the political spectrum. Including some reporters chasing Senator Cruz through the LAX Airport, demanding an autograph or an explanation on the book. Even ABC's investigative reporter Jonathan Karl holding the book up during a live interview. Interestingly enough, various younger music genre members embrace the book from pop, country, opera, hard rock and punk rock have purchased it as a gift or in some instances a gag gift according to our customers". In full disclosure company officials explain they produce product for all political parties. "We are inclusive to the public with all of our products being American made. 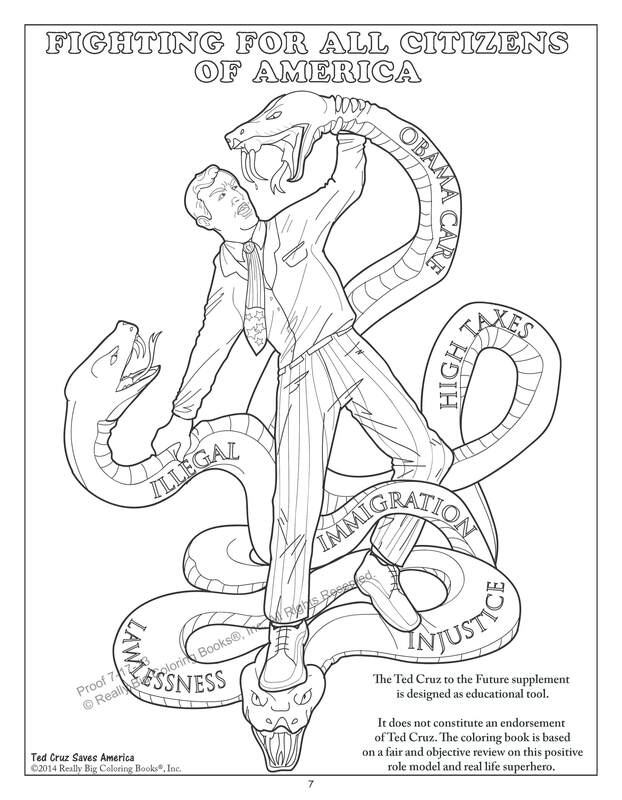 We acknowledge between the Ted Cruz Coloring Book and The Tea Party Coloring Book for Kids, there is a big demand for these type products. The best part for us, we create jobs for American citizens by addressing this audience," Bell said. "Presidential Candidate Cruz was not asked to conspire on the 2013 publication", said Bell. 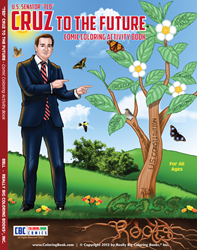 We came up with the idea while watching Cruz be scrutinized by the media during his (in)famous 21 hour speech in Washington, D.C. We present the book as a clear statement on what many Americans consider a modern day hero figure for their children Bell states in a video. 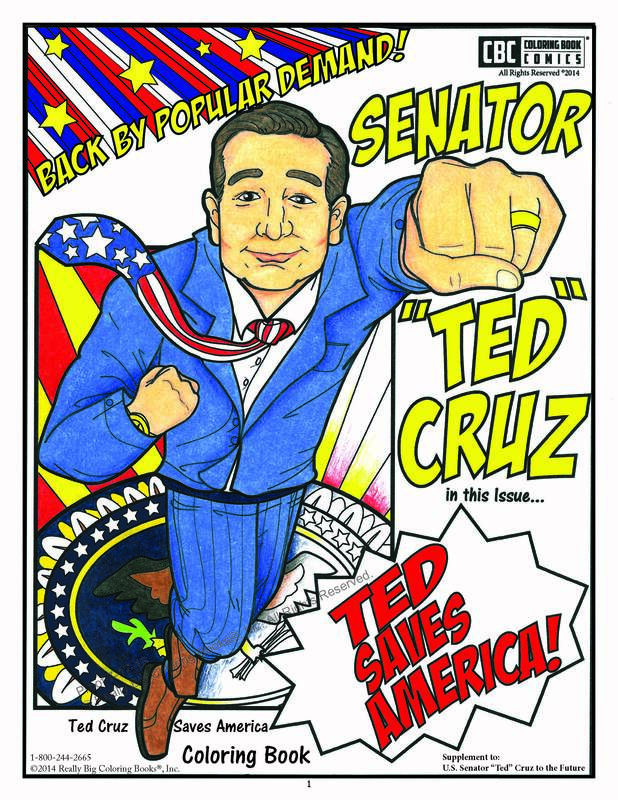 On the other side of this demand some do not support Cruz or his "superhero status". 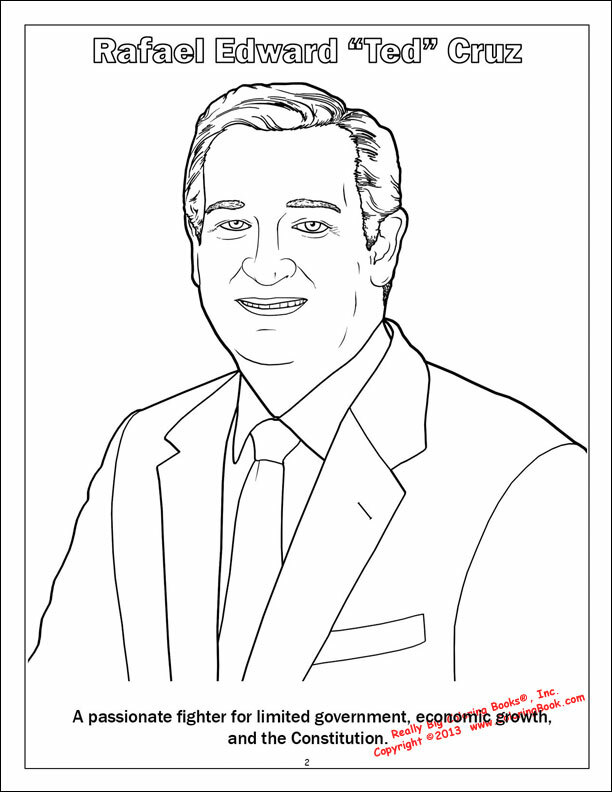 Even Amazon has about 400 unsolicited written reviews on the Cruz Coloring Book and its running a steady 50/50 like and dislike. And it was the number one selling children's coloring book on Amazon for nearly 20 weeks. The two year anniversary of the hot selling book stands on its own merits. In addition to RBCB comic books, music products, crayons, books, paper products, graphic design, animation, coloring books, the company operates several divisions; retail, fundraising, internet, animation, music and creative development.